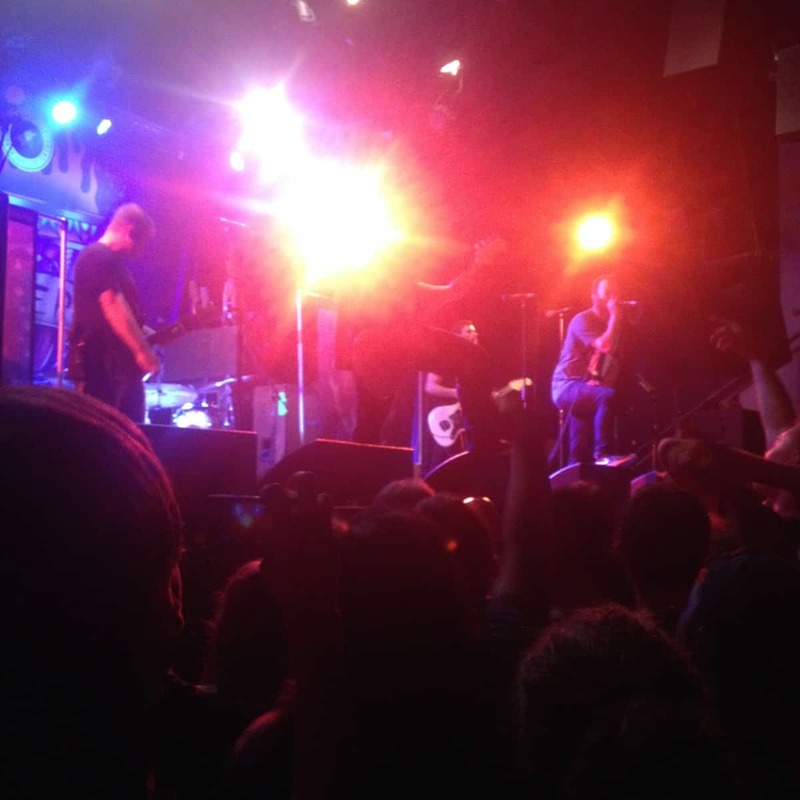 SANTA CRUZ, CA- The Catalyst Club in Santa Cruz was packed to the brim this past Saturday night as pop punk kids of all ages came together to see a stacked lineup with some of the most popular bands in the scene playing on one stage. The line for this sold out show started around 3PM and went all the way down Pacific Avenue as fans chatted and listened to local bands who were passing out their demos. 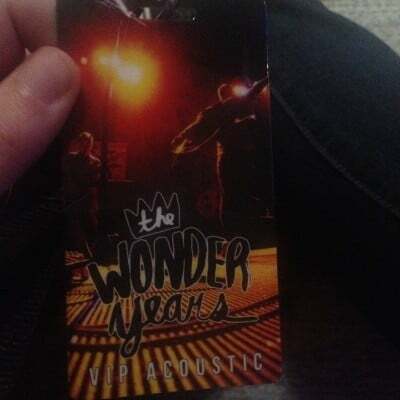 Three months prior, I had purchased VIP tickets to this show which granted early entry, an acoustic session with Philadelphia based headliners The Wonder Years, a t-shirt specific to this tour date and an autographed live poster. Needless to say I was very excited! Parking was sparse and the streets were just as congested as they are on weekend nights in Santa Cruz. Upon arriving, I received my VIP laminate at will call and was immediately let in to the venue which has a pizza place inside. Talk about perfect for a pop punk show! After looking around the venue for a few minutes, the on stage manager/merchandise guy for the Wonder Years came out to tell us that the band was just about to come out and play some acoustic songs for us and then we’d have the chance to ask them any burning questions we wanted to know afterwards. 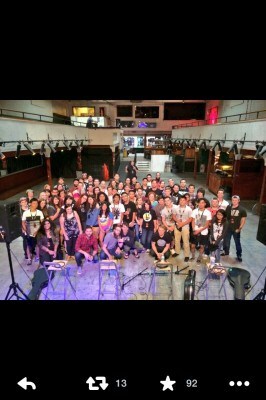 Sure enough, within a few minutes, all 70 of the VIP fans had arrived and we all sat on the ground in front of the stage. I was pleased to quickly discover how chill and down to earth the guys were as they cracked jokes on each other and made everyone feel important. The songs they chose to play were specifically ones that they weren’t going to play later on in their electric set. So I sat back and enjoyed hearing songs they don’t play often such as “A Raindance in Traffic” and “The Living Room Song” which had all of us clapping along and singing harmonies for. This made the experience more intimate and enjoyable leaving me to feel more connected with strangers I hardly knew. 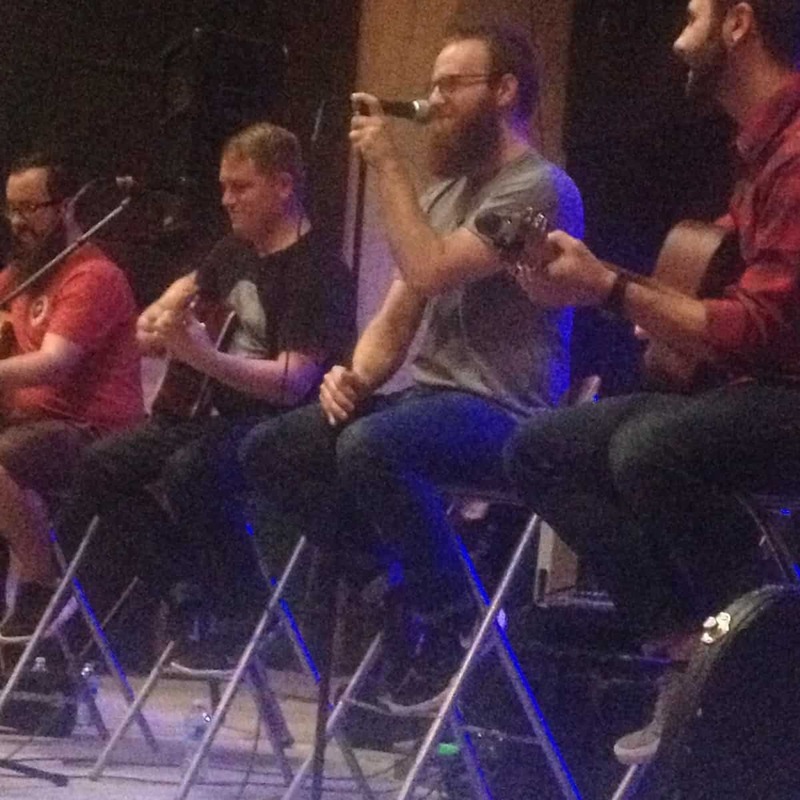 After a 20 minute acoustic set, we were offered the chance to ask questions and I enjoyed watching fans ask Dan Campbell, the singer more commonly known as Soupy, if he’d beat Parker Cannon in a fist fight and what was their inspiration behind their album The Upsides. Before I knew it time was up and the show was about to start. Fans from the line outside were rushing in trying to get as close to the barricade as possible and soon the whole club was packed. 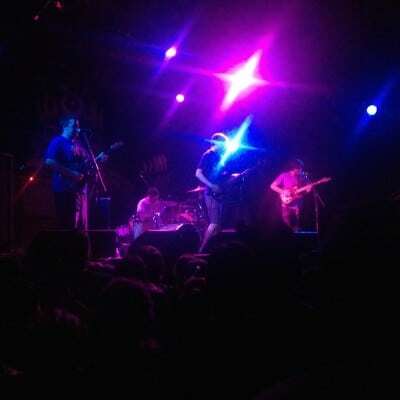 The temperature must have gone up around 20 degrees as England’s own Gnar Wolves took the stage to open the show. They had an early 2000’s Tony Hawk Pro Skater 2 sound with vocals that reminded me of Rise Against. After their second song, I looked over at my boyfriend and we both agreed that their performance was very tight and energetic. They couldn’t have picked a better opener to get the crowd going. I have to say I was truly excited for the other Philadelphia based band Modern Baseball to play. This band is full of a bunch of quirky, funny and dorky guys who write the catchiest songs. Their lighthearted energy kept the flow of the show going as they played songs off both their albums Sports and You’re Gonna Miss It All. The crowd went wild as they sang the first line of “Fine Great” all the way until they finished with one of my favorite songs by them titled “Your Graduation”. Clap if you like my band. 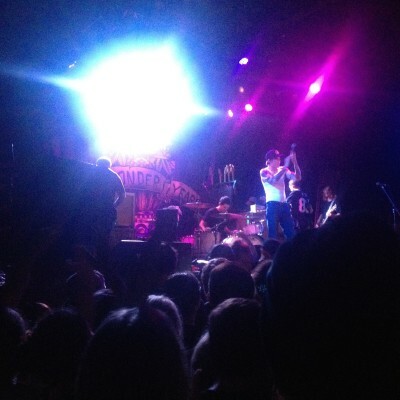 Following Modern Baseball was Walnut Creek based, world renowned The Story So Far. The second their drummer took the stage the crowd rushed forward and got ready to get crazy for The Story So Far’s angry and high energy songs. 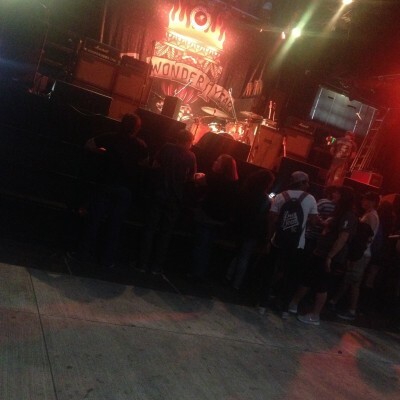 There’s nothing quite like the anticipation of the crowd waiting for this band to play especially when they are playing a bay area show. They took the stage and Parker Cannon started dancing and singing “Things I Can’t Change” off their second album What You Don’t See. What’s great about The Story So Far is they always play a good amount of their popular songs such as “Quicksand,” “Roam,” “The Glass,” “All Wrong,” “High Regard,” “Stifled,” “Empty Space” and more as the crowd stage dives, surfs and moshes. These guys know how to get a crowd moving and there’s nothing quite like seeing them live. Surprisingly a fair amount of people left after The Story So Far’s set which is unfortunate because they really missed out on a great set by the Wonder Years who played for almost an hour straight. On their previous tour, they only played songs off of their latest album “The Greatest Generation” but on this tour they made a point to play songs they didn’t get a chance to play last time such as “Melrose Diner,” “There, There,” “Washington Square Park,” “Don’t Let Me Cave In” and “Passing Through A Screen Door.” The energy from this crowd was incredible as we all sang at the top of our lungs to join in and be a part of something bigger. The set ended with a song that I understand all too well titled “Came Out Swinging”. The crowd screamed for an encore and fortunately we got to hear two more songs before the club lights came back out and everyone swarmed for the door. 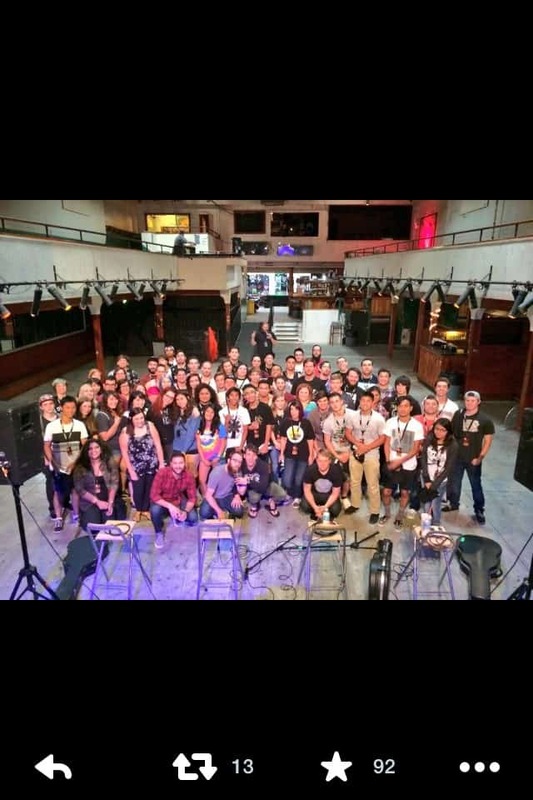 Pop Punk shows like this one are amazing experiences and if you’ve never seen or heard of these bands music, I highly recommend you check it out! Chandler Kirkman is a Junior at San Jose State University working towards her Bachelor’s in Communication Studies. 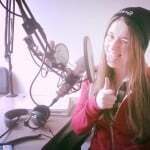 She currently runs her own radio show called Calamity Jane which supports local bay area bands and she can’t hardly wait to bring it to the airwaves at KSJS. 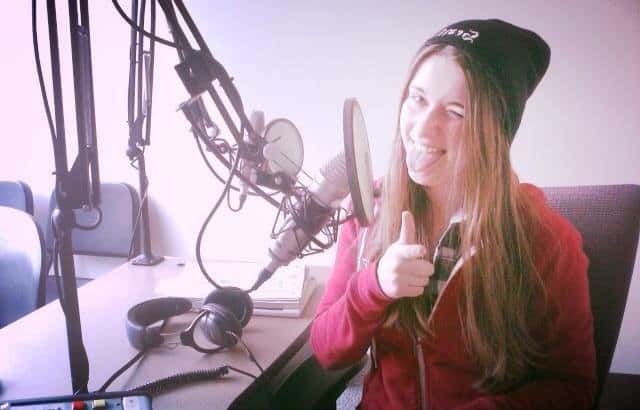 After college, she aspires to work in the music industry.